Save big on HP PageWide Enterprise color MFP 586dn ink cartridges and balance your printing budget and maintain the quality of your pictures. Our discount ink cartridges have been manufactured using the same technology as the original HP ink cartridges to ensure they will be compatible with all the features of your HP printer. 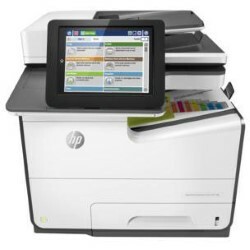 We test all aspects of our ink cartridges for HP PageWide Enterprise color MFP 586dn printers and our products are guaranteed to create high-quality documents and images after a simple installation process. This cartridge includes a 1-Year warranty and 100% satisfaction guarantee.